When would you use a 301 over a 302 redirect. Anytime that you need to make a permanent change to the URL and you want to make sure that search engines are made aware of the change, then you want use a 301 redirect. For example, if you purchased an SSL Certificate for your website and you need to implement it, then your URL will change from HTTP to HTTPS. The condition in which you use a 302 redirect over a 301 redirect is when the change is only temporary. This notification prevents search engines from changing search results for that particular URL. A good example of this is if you are testing a change on your website when it is accessible through the internet. A change of a live website page may alter the search results of the site is crawled by the search engine. In this case you do not want the search engine to note that change. The use of a 302 redirect indicates to the search engine that the change is only temporary. 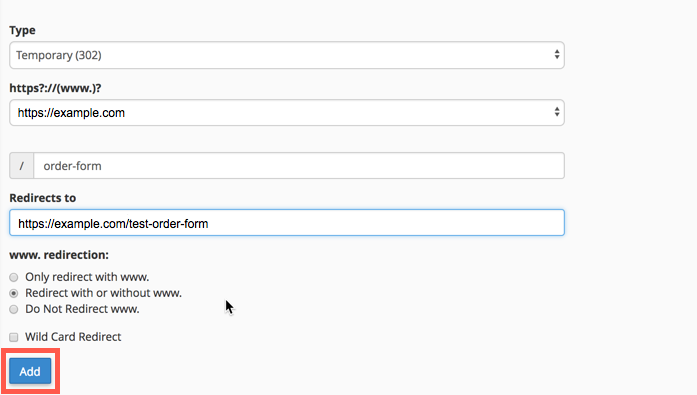 Fill in the information for the re-direct, then click on Add in order to add the re-direct. 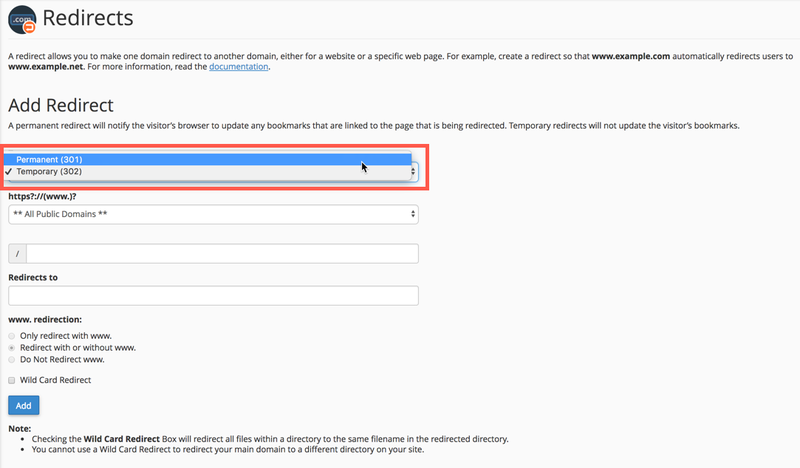 When the redirect is in place make sure that you complete the process for which are using the temporary change of URL. Remember that the change should remain temporary. The redirect should be removed once the need for the temporary URL is complete. 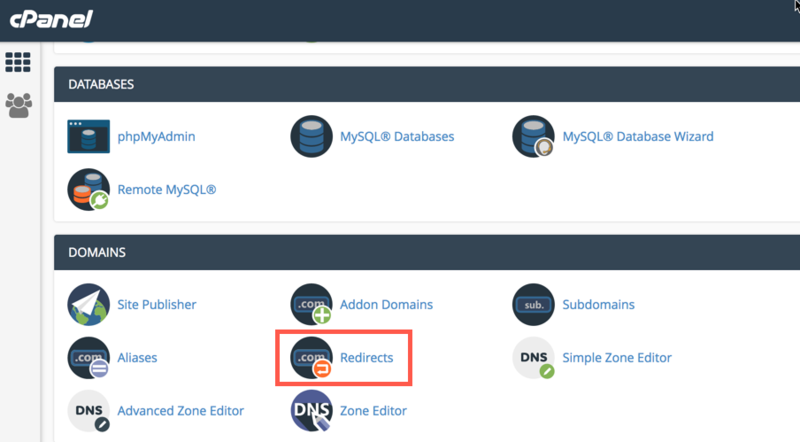 For more information please see the tutorial on Setting up 301 Redirects.